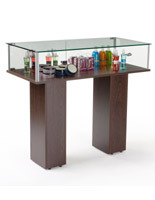 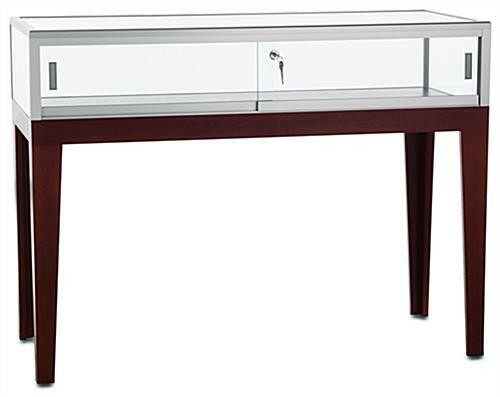 Our table display case features a natural cherry finish that adds a stylish look to any retail floor or showroom. 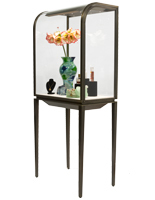 With 9” tall glass panels, this showcase is a great way to present fine antiques, jewelry, or watches in retail environments. 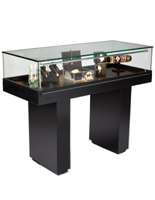 Each museum-quality table display case offers a solid cherry finish with that lends itself well to contemporary, high-end styles. 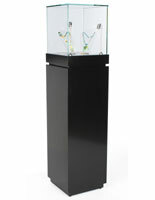 Merchandise remains secure behind lockable tempered glass sliding doors, ensuring your merchandise is always secure. 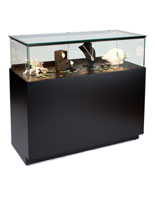 We offer this locking table display case with gallery style presentation for easy access when presenting products to your customers. 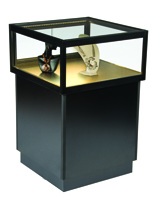 A jewelry showcase like this solid wood fixture is perfect for small offices and retail environments. 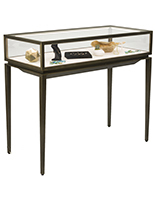 At 48” wide and 20” deep, this jewelry display case has plenty of area for showing your valuable merchandise in a secure setting. 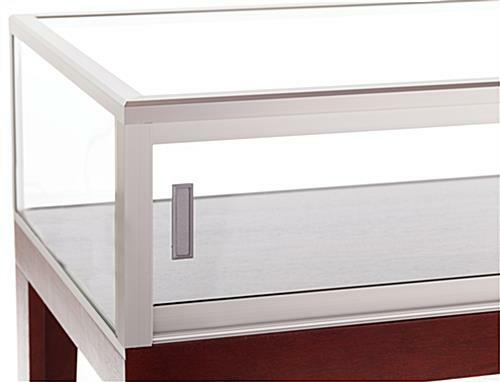 With tempered glass panels, tapered legs, and a silver anodized aluminum frame, the durability this display case offers is unmatched.